Think Of Your Ideal Bathroom Design: Your ideal bathroom design will soon become a vision. At home, you know exactly what kind of shower you want and which countertops will be installed with your sink. But what about the toilet? Remember that not all toilets are created equal. Some are installed on the floor of your bathroom, while some can be installed on the wall. Figure out which is ideal for a home or business. Know Your Types: Toilets come in two kinds of flushes: single flush and dual flush. Saving water is an important thing to do, especially when we tend to waste a lot of it each time we use it for whatever purpose. Knowing the difference between a single and dual flush is important. With single flush, you have one flush option. Dual flush offers two options, half flush and full flush. With half-flush, you’ll be using less water than you would with a full flush every time. 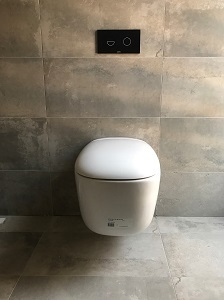 Something to keep in mind while choosing the best toilet: Single flush toilets are much easier to use compared to their dual flush counterparts. However, while dual flushing toilets can allow you to use less water, they may not be what they seem from both an environmental and financial standpoint. Renovating your bathroom for a better look is something every homeowner dreams of. But it takes a lot of work and investing a great deal of money in making that dream a reality. You can think of what your ideal bathroom will look like after all is said and done. But trying to get it done all by yourself may be a waste of time and money. Especially if you have no idea what you are doing. That’s why renovating your bathroom should be left up to the experts. Meanwhile, if you’re in search of a plumbing expert who can get the job done, then consider All Plumbing Works. We are small family-owned plumbing business located in Sydney and we also serve The Greater West. We have proudly provided general and emergency plumbing services for area homes and business for 5 years. We will work with you for all your plumbing renovation needs whether you’re in the planning stages or if the project is just getting started. We will offer our services at fixed prices that are affordable and won’t cost you an arm and a leg like all other plumbing services. Even more importantly, we are upfront and honest with our services and how much they’ll cost. The last thing we want every customer to deal with is to see a ridiculously high bill for their plumbing services. If you have questions about our renovation services, we’ll have the answers. We strive to be your go-to plumbing experts even after the project is completed. We know that things can happen, especially in your newly renovated bathroom or anywhere else in your house. Issues can happen at any time and just about any place where there is plumbing. If you want your toilet repaired at 2AM or if your wall cistern is leaking in the middle of the day, you can count on All Plumbing Works to respond and get the job done on the same day. And because dealing with your plumbing issues are important, we won’t even charge you a call out fee. Your bathroom renovation project is something only you can envision. Only the experts can help make your dream bathroom renovation can come true. While you figure out what kind of toilet you want installed in your bathroom, let All Plumbing Works take care of the rest. When you are looking for a toilet, be sure to know which one will fit your ideal bathroom setting. If you’re looking to conserve water, find a toilet that will help you save water with every flush. Down the road, it will be the best environmental and even financial decision you’ll ever make. 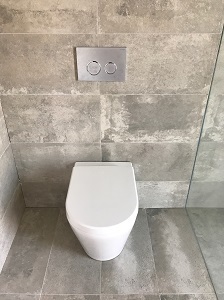 For all your toilet installation needs, contact our expert Western Sydney plumbers on 0435 723 389 or fill out the form below and we will get back to you shortly.